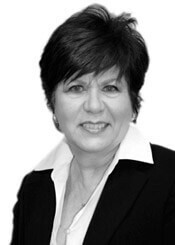 Barbara Badolato is a certified social worker and holds a master degree from Adelphi University, School of Social Work. In working with couples in divorce mediation for more than 30 years, she has had a great deal of experience working with the emotional aspects and financial concerns of couples going through a separation and divorce. As a well respected member of the mental health profession, she is active in the training and continuing education of other mediators in the field. She has made numerous presentations at programs and conferences sponsored by The New York State Council on Divorce Mediation, the Academy of Family Mediators and the Family and Divorce Mediation Council of Greater New York. She has also lectured on the subject of divorce mediation at law schools and universities in the New York area, including St. John’s University School of Law and Adelphi University’s School of Social Work. Barbara has been affiliated with Stony Brook University School of Social Work as a field instructor. A certified yoga instructor, Barbara teaches yoga to children and adults at the Family Center for Autism, based in Garden City, N.Y.